What if I told you that there is a faster and easier way to make pancakes? 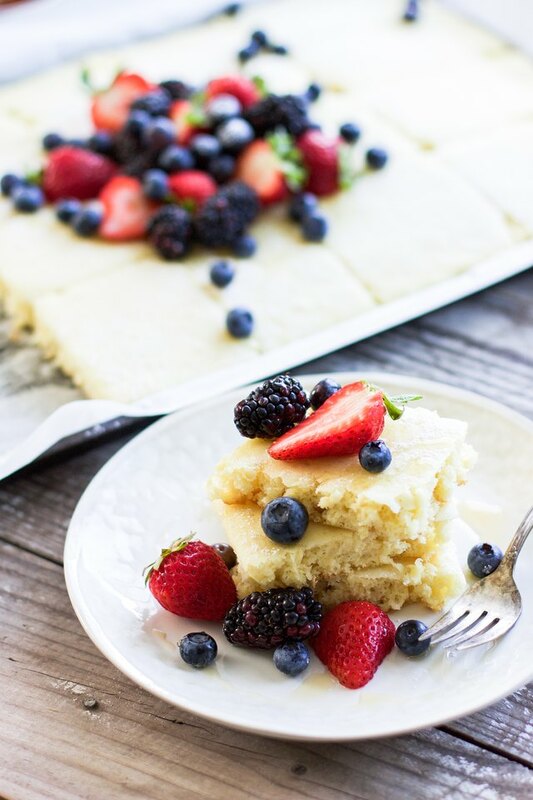 In a few simple steps you can make seriously fluffy and delicious sheet pan pancakes in fifteen minutes. With this no-fail sheet pan method, you don't have to worry about burning half the pancakes, forgetting about them on the griddle, or ending up with flat pancakes. Plus it’s an easy way to serve a crowd. 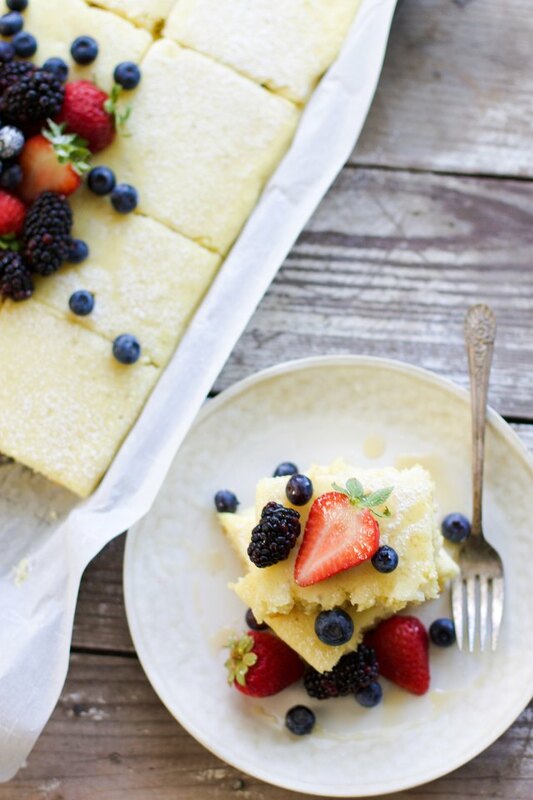 All you need to do it mix together your ingredients, bake in the oven, and then slice and serve away! 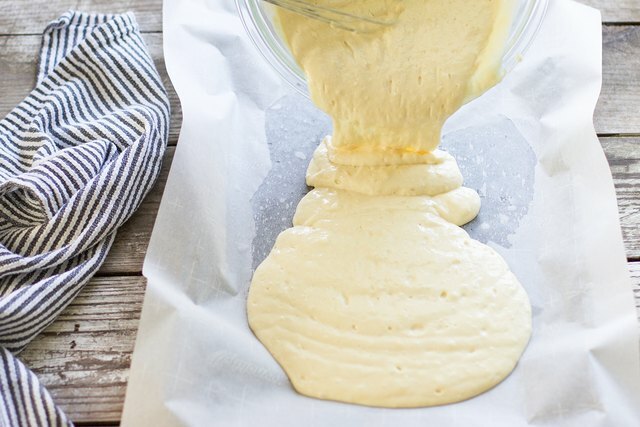 You may never go back to making pancakes the traditional way ever again. 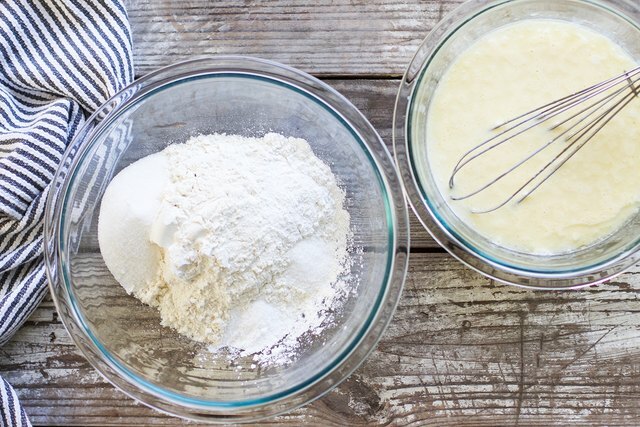 In one large bowl, add the flour, baking powder, salt, sugar, and baking soda and whisk to combine. 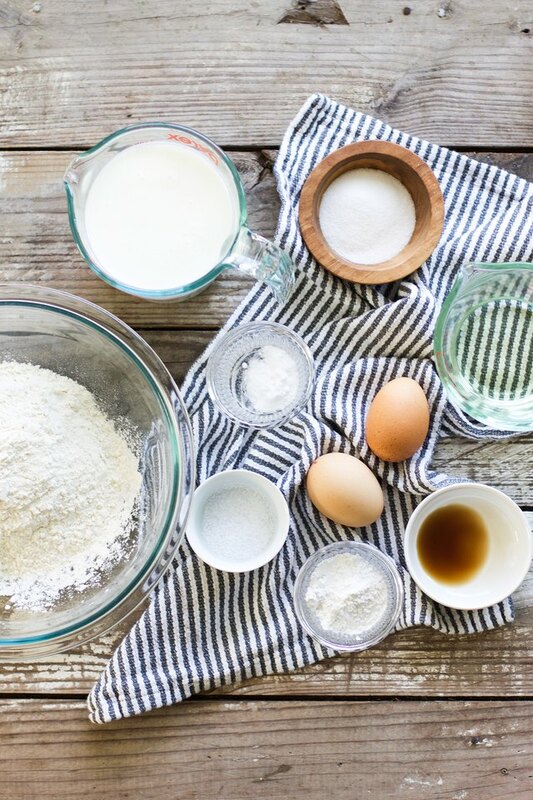 In another bowl combine buttermilk, eggs, vanilla, and vegetable oil and whisk well. Slowly incorporate the wet ingredients into the dry ingredients and fold together until well combined. 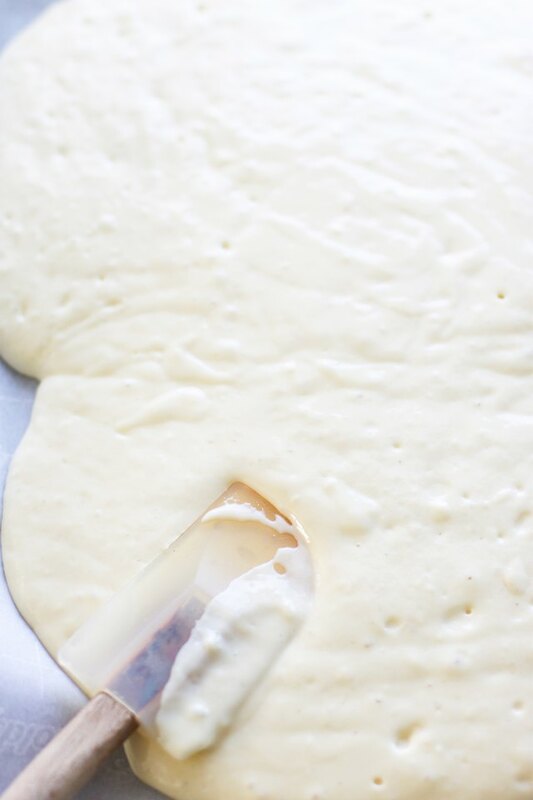 Once the batter is combined, pour onto a parchment paper lined baking sheet (one with an inch or more edge on it) and spread into an even layer. Bake the pancakes for 15 to 17 minutes or until cooked through. Insert a toothpick into the middle of the pancakes to see if it comes out clean or not. If it comes out clean, your pancakes are done; if not continue cooking for another couple of minutes. 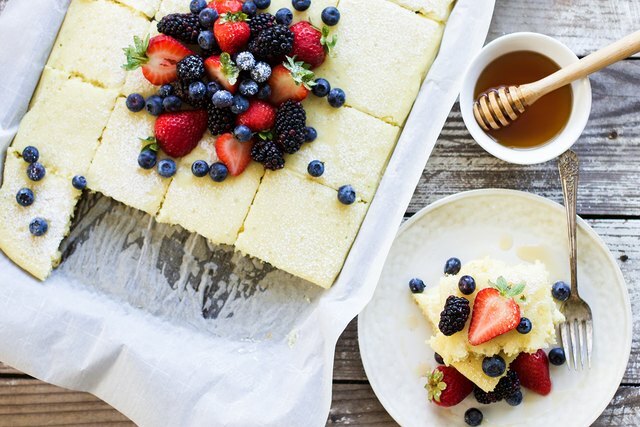 Sprinkle the top of the pancakes with powdered sugar, fresh berries and butter, and then drizzle with maple syrup or honey and serve immediately. I can't wait for you to try out this new and improved way to whip up a breakfast classic! Make a batch and freeze into individual portions for an even easier breakfast.